With the advent of the e-commerce and mobile commerce solutions, consumers of the modern era have become more comfortable in making purchases from any corner of the world, at any time, and virtually over any device out there. The given shift in the consumer behavior has transformed the manner in which products and services tend to flow through the retail supply chain to the end buyers. Because of this shift, the supply chain partners nowadays are required to provide proper responses not only to the needs of the concerned retail stores, but also to the specific customer demands of the e-commerce and m-commerce stores. In the given scenario, the presence of the omni-channel solutions encompasses all such diverse ordering, as well as fulfillment channels of the retails supply chain. How Omnichannel Commerce Solutions Aim at Changing the Conventional Retail Supply Chain? The conventional retail supply chain tends to revolve around the transportation of bulk product to the typical retail stores as well as distribution centers responsible for handling smaller volumes of direct-to-consumer catalog-based orders. The overall ease and convenience of online shopping has altered the traditional retail supply chain model by increasing the total amount of direct-to-consumers orders significantly. Because of the significant change in the traditional model of the retail supply chain, the retailers are mitigating the respective employment costs along with the higher carrying costs that are associated with the typical retail stores. This is achieved by focusing on the online, direct-to-consumer commerce shopping. In addition to this, the end buyers no longer tend to be content when it comes to waiting for the inventory to arrive at the respective store. On the other hand, they prefer searching for the same on the Internet and finding a relevant competitor who will be providing the fastest delivery of products and services. The overall shipping time tends to be a decisive factor for the end buyers who will be making the online purchase. This implies the delivery of a proactive and responsive supply chain being the major key to maintaining effective market relevancy. Towards counteracting the impersonal experience of top-class online shopping, the companies nowadays are expected to reflect the respective brand identity in all aspects of the order fulfillment process. Right from the provision of customized packing slips to ensuring attractive gift-wrapping, a highly effective retail supply chain network aims at highlighting the entire brand personality. In the modern era, commerce companies are required to face the challenge of developing a sense of loyalty amongst the customers who might have never stepped into a store. How has Omni-channel Commerce Helped in Changing the Supply Chain from the Perspective of the Provider? 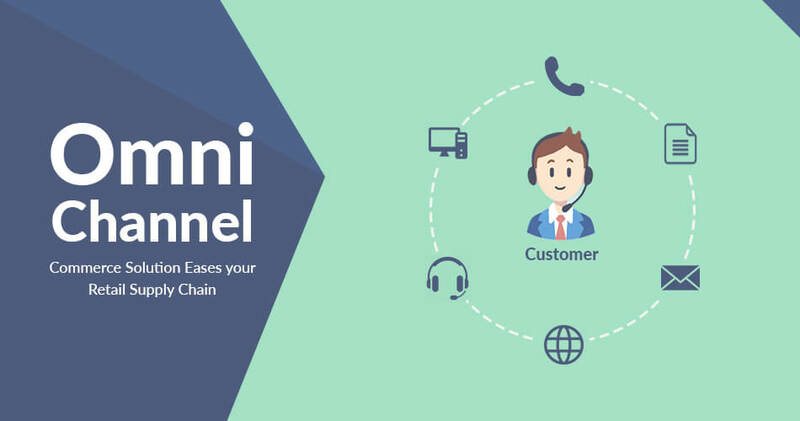 One of the major adjustments in the concept of omni-channel commerce industry has been providing relevant responses to the respective workflow changes. Online orders tend to spike during the beginning of the week –reaching its peak on Monday and gradually dropping across the middle of the week. Before the rise of the omni-channel commerce scenario, weekly order volumes were not as nearly front-loaded. There has also been a rise in small-sized pick & pack orders. Before the scenario of online shopping escalated the direct-to-consumer shipping, the manufacturers out there tried shipping the bulk orders to the retail distribution centers and warehouses. In the modern scenario, e-fulfillment solutions tend to focus on moving the small-sized pick & pack orders of more than one item effectively. Also Read: Why opt for Magento 2 for E-commerce Development in 2019? As per the given response, conventional providers of parcel services like FedEx, DHL and others are on the verge of developing high-end postal solutions that are capable of accommodating lighter, small-sized parcels with the option of assuring quick shipping. The model of the conventional supply chain has been built on the concept of moving large-sized shipments that tend to exceed 30 pounds. In the current times, the companies involved are given the task of fulfilling the pick & pack orders of multiple sizes averaging to around one pound. This implies that postal services (not conventional freight service providers), might also aim at offering the most economical transportation rates for enhanced services. Develop a proper strategy that aims at maximizing the overall capture through the incorporation of effective SEO (Search Engine Optimization), a revamped website, and lucrative shopping options. 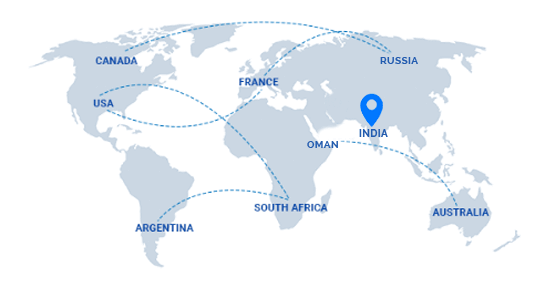 Consider outsourcing to some reliable network supply chain service provider for removing the common and possible flaws. Reconsider the overall impact on the respective ERP system. You can also consider engaging actively towards ensuring that the website and other aspects like fulfillment, order management, WMS (Warehouse Management System) are fully integrated right from the start. Analyze the overall impact of the entire supply chain process including reverse & returns logistics. Make the most of the latest eCommerce Development Solutions to enhance your retail business. Take a look at the reliable retail software solutions for the best results.